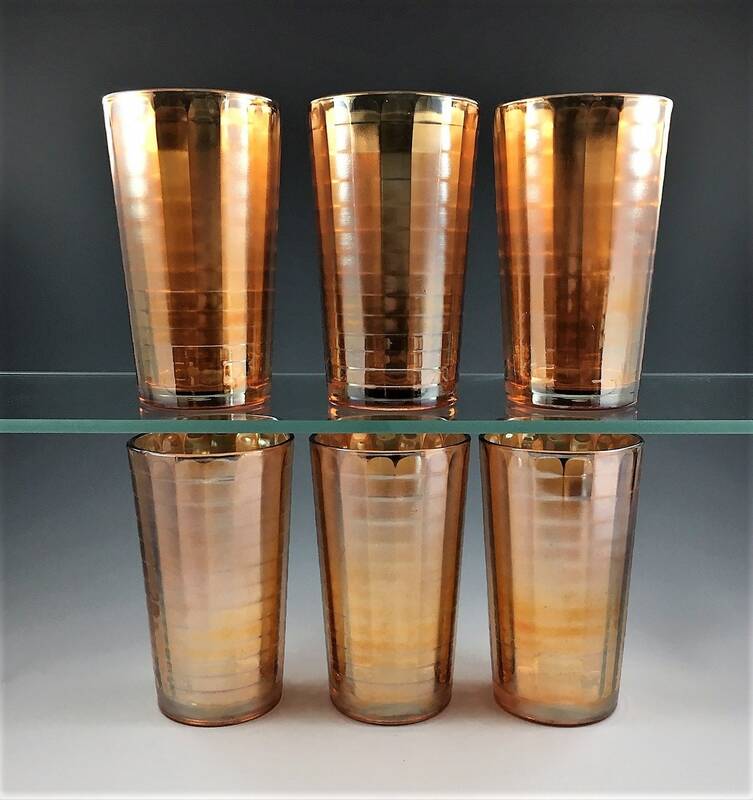 Featured here is a beautiful set of six vintage Carnival Glass tumblers from Jeannette Glass. 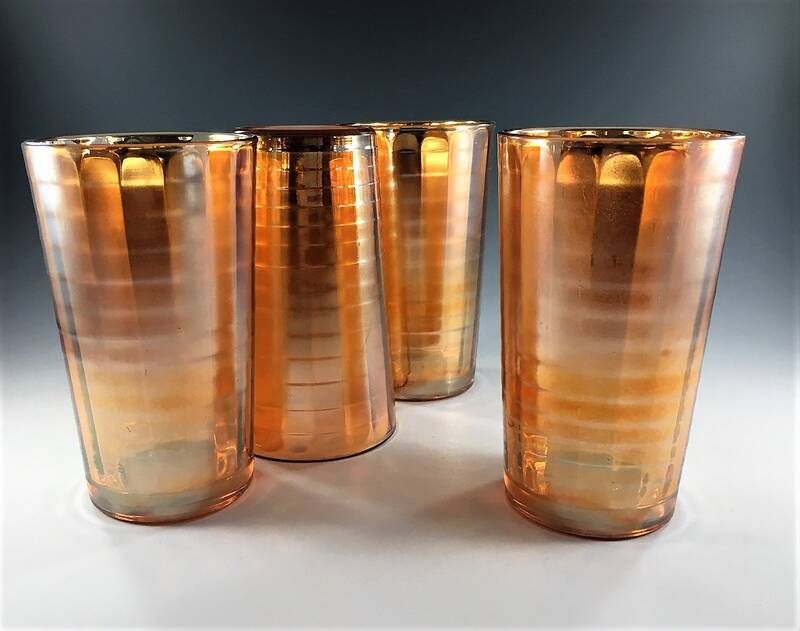 They were produced in the Depression Era, in the late 1920's to 1930's. 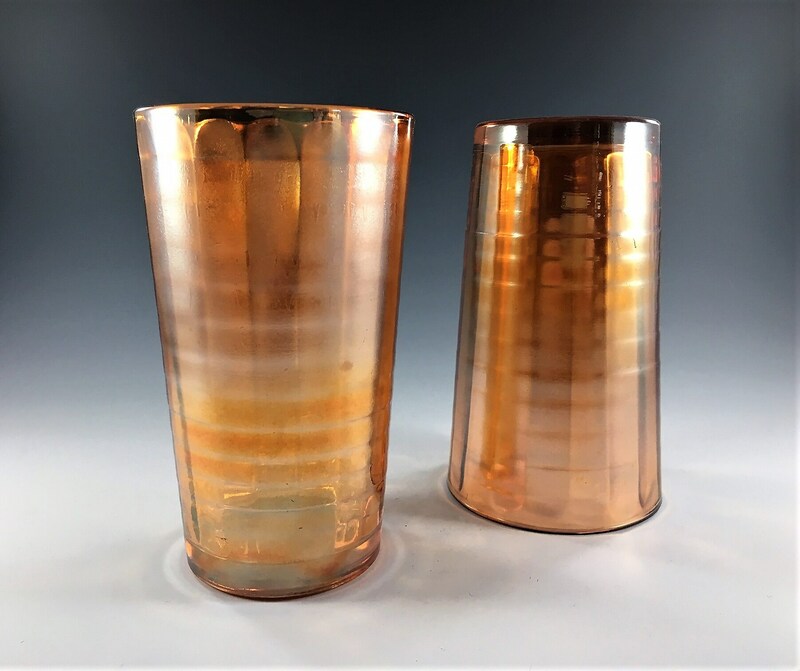 The 12 ounce glasses are in their Banded Ribs pattern and measure 5 3/8 inches tall and 3 inches in diameter at the rim. They sit on a round base that is 2 3/8 inches in diameter. 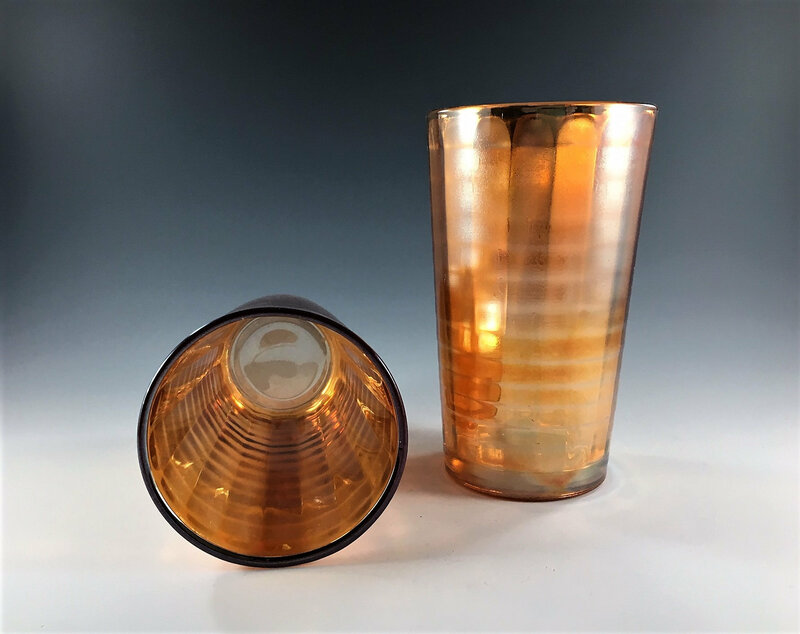 These stunning pieces are a great iridescent shade of orange, often described as marigold, peach or amber, and they have a striking block optic design. They're thick and bottom heavy, weighing 0.75 pounds each. 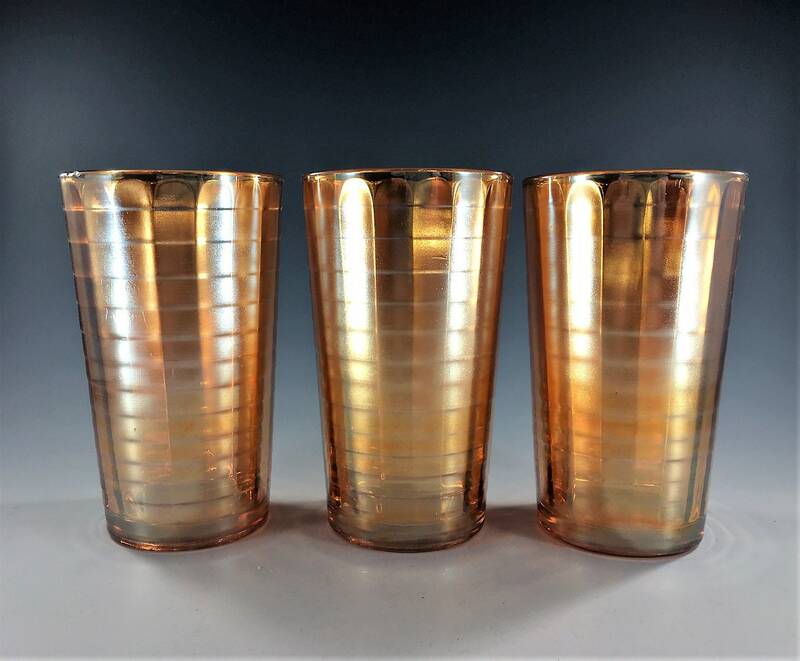 A small chip to the rim of one glass, all others are in excellent vintage condition, free from any chips or cracks. 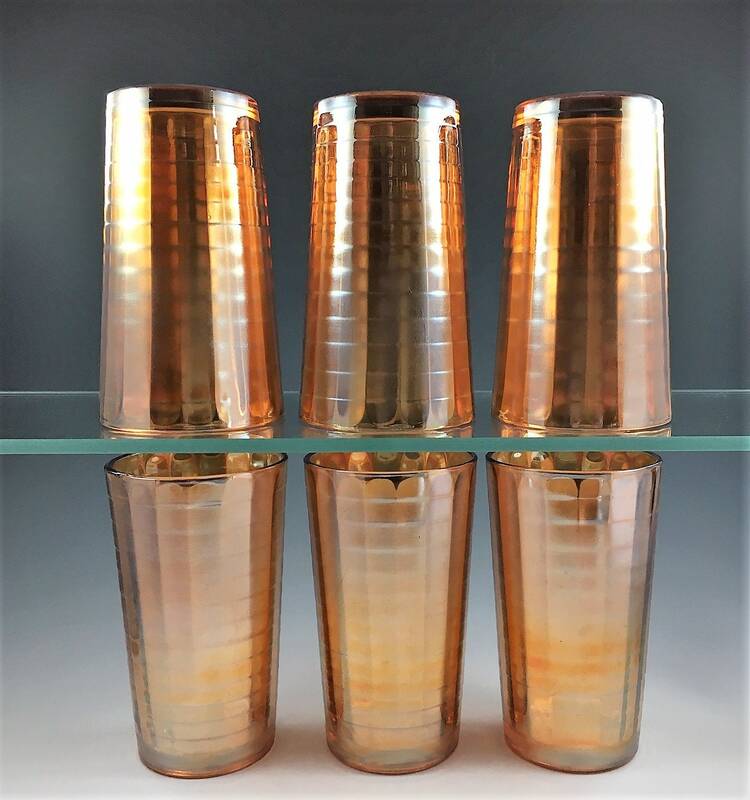 Perfect for everyday use or to add to your vintage glassware collection.